Porsche is setting the stage for the ramp of one of its most important vehicles to date — the Taycan — the veteran carmaker’s first all-electric car. The Taycan is expected to start production sometime in 2019, and to ensure that its facilities are ready for the vehicle, projects are now underway in Porsche’s Zuffenhausen facility, which will house the manufacturing line for the electric sedan. The pedigreed carmaker has decided to set up the Taycan’s production lines in Zuffenhausen, a site with a long, storied history. Several cars, among them the iconic Porsche 911, the 718 Boxster, and the 718 Cayman, are built on the same location. A press release from Porsche notes that for the Taycan’s upcoming ramp, the company is creating 1,500 jobs and investing €700 million (over $797 million) to augment and prepare its facilities. Several aspects of Porsche’s projects in Zuffenhausen stand out, particularly a conveyor system that transports drive system components and painted e-car bodies from the paint shop to the assembly line. The conveyor system is impressive, standing at a height of twenty meters above a four-lane main road in Stuttgart, which divides the site in half. Porsche also notes that the assembly and logistics hall for the Taycan’s production will be its largest building complex in Zuffenhausen. The company describes the construction of the structure as a balancing act, considering that the facility must be completed while the production of the 911, Boxster, and Cayman are continuing their usual output. Reiner Luth, head planner for the factory project, compares the balancing act to a medical procedure. “The heart of Porsche beats in Zuffenhausen. We’re basically doing open-heart surgery,” he said. Porsche has also shared images of its paint shop, whose steel structure is self-supporting. The company notes that final work on the Taycan’s paint shop is already underway. The Taycan’s body shop, which will be the second-largest building in the Zuffenhausen facility, is also being developed. Pre-production bodies of the 911 and later, the Taycan, will be made on the building. Just like its rival, Tesla, Porsche intends to make its Zuffenhausen as environmentally-friendly as possible. Jürgen King, head of central construction management for the site’s expansion, explains that the factory will eventually be a C02-neutral plant. King also notes that the pace of the project is so far the fastest-moving in Porsche’s history. “Given these framework conditions, what we have is not only the biggest but also the fastest-moving construction site in Porsche’s history. When we’re finished expanding the factory for the Taycan, Porsche will produce zero-emission cars in a CO2-neutral plant. And that is a well-rounded result,” he said. Porsche notes that the demand for the Taycan has been very impressive so far. Last year, the legacy automaker opened pre-orders for the vehicle, and the reception has been so positive that Porsche is now increasing the initial production of the vehicle. As noted by Porsche CEO Olliver Blume, for one, the company has logged almost 3,000 Taycan reservations in Norway alone. That’s a country where Porsche sells about 600 vehicles per year on average. While the Taycan is about to enter production, Porsche is yet to unveil the final design of the all-electric car’s release version. So far, Porsche employs several dozens of camouflaged prototypes for testing, as well as a working version of the Mission E sedan concept car to promote the vehicle. 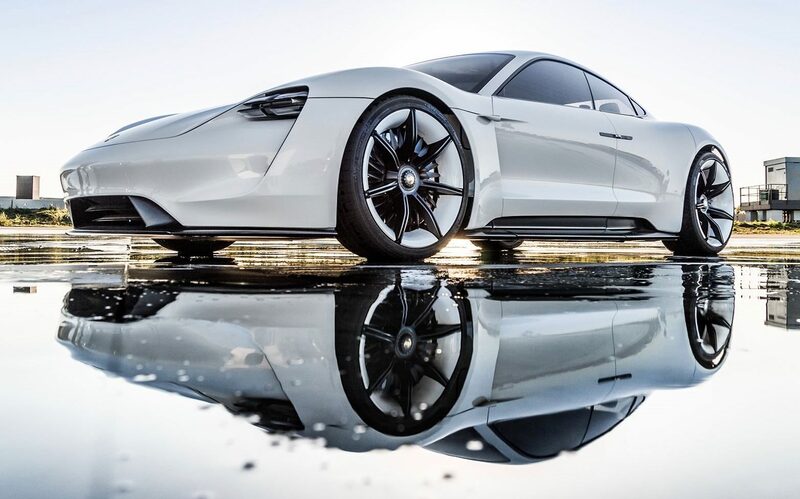 In the company’s promotional materials for the car, Porsche states that despite the lack of engine in the Taycan, the all-electric car will still have the ever-present “soul” found in all of its other vehicles.